Improve productivity in Financial Services Cloud and Health Cloud with all-new features. Personalize customer experiences and capitalize on every expressed interest by booking appointments with the right person, at the right time and place. 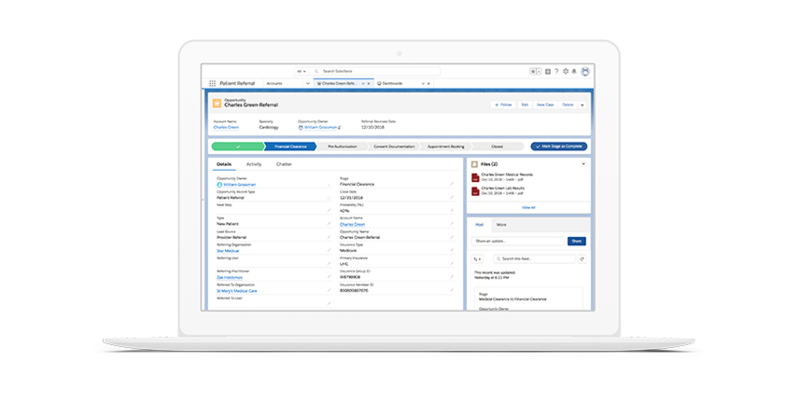 Drive efficiency and uncover insights by embedding scheduling within CRM processes, such as lead, referral, and opportunity management. 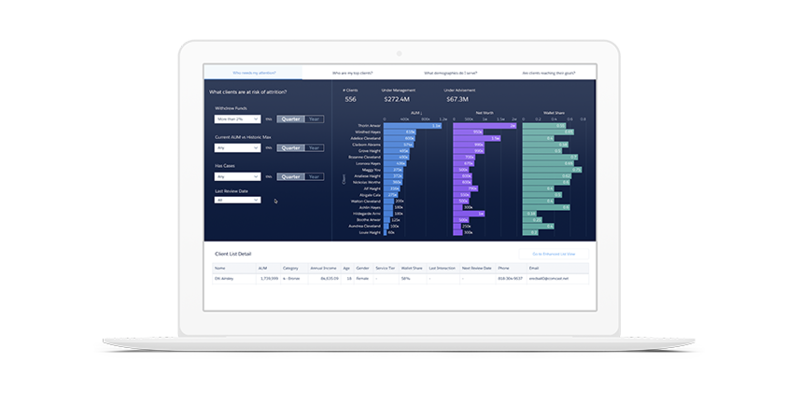 Uncover actionable insights faster with a new analytics product built specifically for financial services. 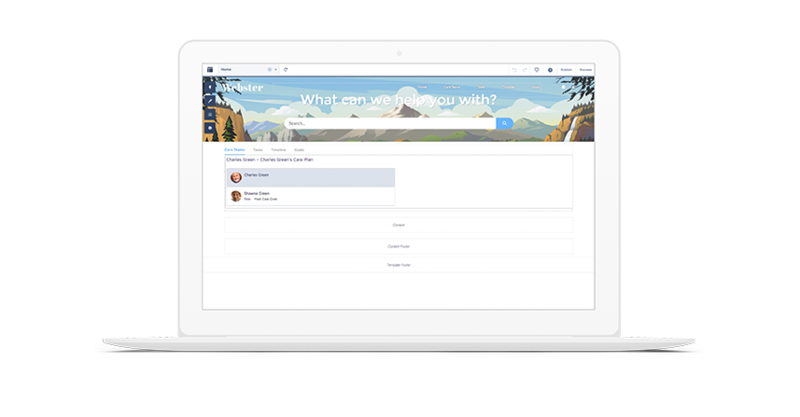 The first release of this new product enables financial advisors to manage their book of business better by providing insights across client goals and satisfaction, lead and referral performance, and sales execution. Capture key information about your patients’ and members’ social determinants of health, like housing and transportation, using a library of determinants, barriers, and interventions. Deliver more holistic care and personalized care on one connected platform. Enhance management and collaboration throughout the entire referral process, from submission to onboarding and through care. 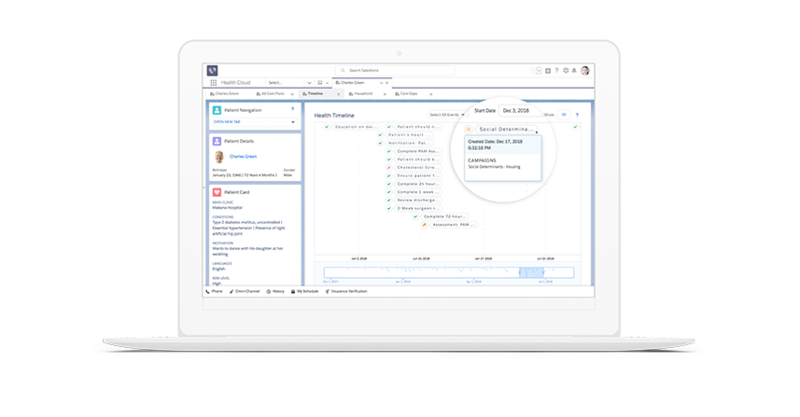 Prioritize and process referrals faster by accessing all relevant data on one connected platform. Build campaigns and create health journeys across populations directly within Health Cloud. Customers who have Marketing Cloud can go one step further by enrolling groups of patients in multichannel communication. Put your patients on personalized journeys, from health education to appointment reminders. Easily build custom branded mobile apps for patients and members using the Health Cloud Engagement App Template. Drive digital engagement and empower health consumers to stay on top of health goals with care plans, securely collaborate with the care team in real time, and learn about wellness in interactive ways. Combined with the new Mobile Publisher for Community Cloud, native apps can be distributed on Apple and Google app stores. 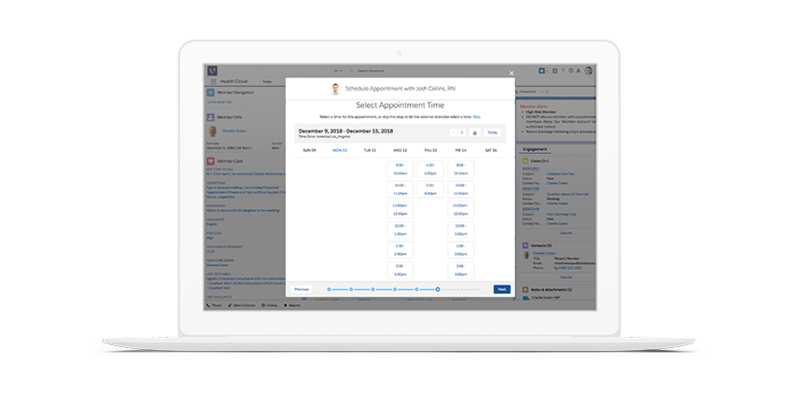 Streamline scheduling for your patients, members, and employees to improve team productivity and customer engagement. 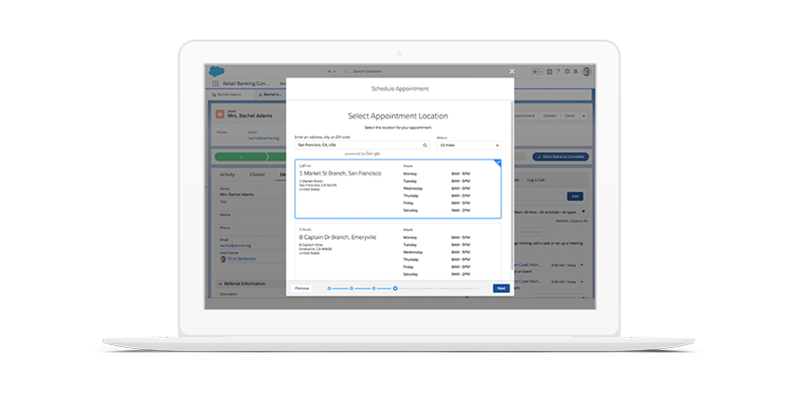 Embed nonmedical appointments within CRM workflows, such as case management and education scheduling, and drive efficiency by booking appointments at the right time and place, all on one connected platform.